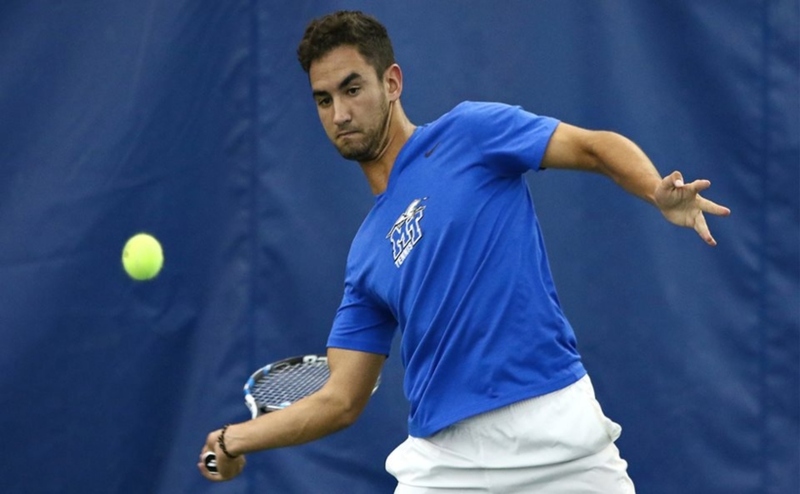 Both Middle Tennessee tennis teams were in action this weekend, as the women traveled to Jacksonville, Florida, to take on North Florida and Florida A&M. Meanwhile, the men remained at home to face the University of Texas-San Antonio and Tennessee State University. In the first match of the day, the women squared off against the North Florida Ospreys. The Blue Raiders dropped the doubles point, as the team of Marta Peris Herrero and Josefina Zehnder lost by a score of 7-5. The duo consisting of Costanza Magazzini and Lidia Burrows fell by the same score to fall behind 1-0 early. In singles play, Luisa Zirilli defeated her opponent by a score of 6-2, 6-0 to get the Raiders back into the match. Kim Kermet pulled out the only other Raider victory by putting her foe away 6-2, 6-3, as the rest of the team just fell short in their individual matches to give the win to the Ospreys. While the Blue Raiders were no longer undefeated, they managed to bounce back against Florida A&M. 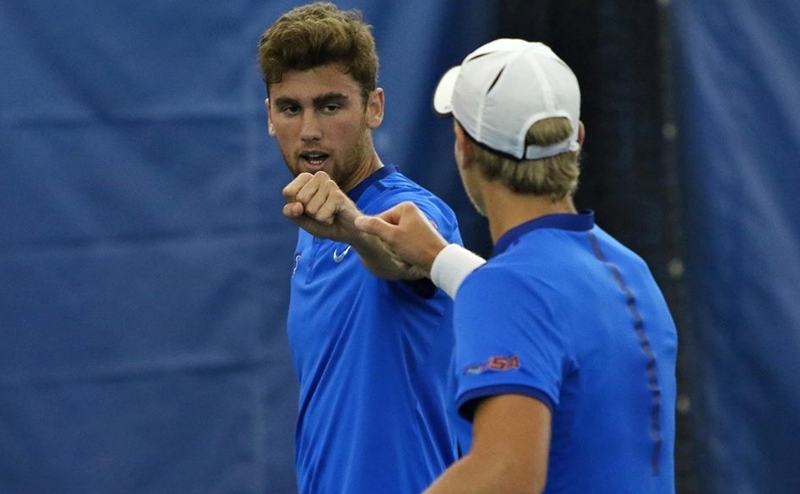 The doubles portion of competition was cut due to weather concerns, causing the match to be decided by singles matches. The Raiders were clearly motivated by the first match, as they swept all of their opponents. 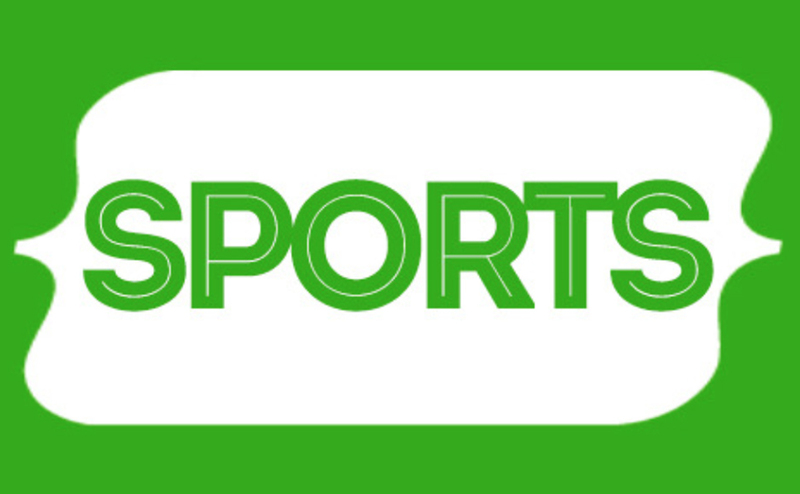 None of the sets were even remotely close, and each MTSU player finished their opponent in straight sets. Freshman Zani Barnard won her match 6-1, 6-2, while Zirilli was victorious in a 6-2, 6-2 match. Burrows and Kermet won their matches 6-4, 6-0 and 6-1, 6-4, respectively. Rounding out the flawless victory was Magazzini, as she won with a dominating score of 6-1,6-0 to bring the match to a 5-0 Blue Raider victory. The women will next play at home on Feb. 2 against Louisville, and they will conclude the weekend against Tulsa on Feb. 4. The men enjoyed a nice weekend at home, as they took on UTSA and TSU in a Sunday doubleheader. The first competition of the day was against conference opponent UTSA. 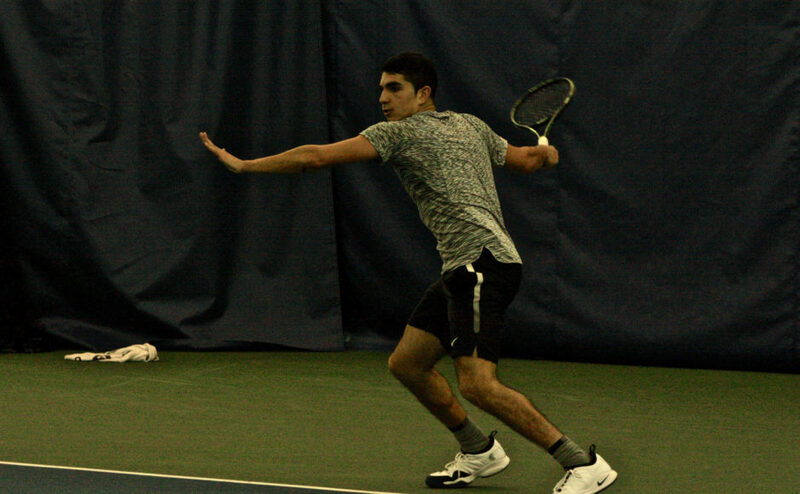 The Blue Raiders struck first with quick victories in the doubles matches, as the team of Gian Issa and Nicholas Buitrago won their match 6-3. The freshman and sophomore duo of Chris Edge and Tom Moonen followed this by dominating their opponents by a score of 6-1 to claim the team’s first point of the match. Gonzalo Morell Raschiatore pulled out a win after a marathon three-set match by scores of 4-6, 6-4 and 6-1. 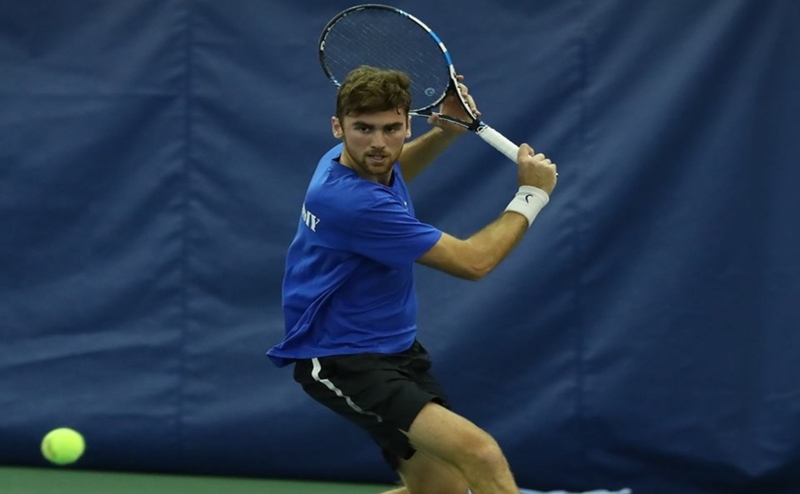 Tom Moonen rounded out singles play with a 6-3, 6-0 win, giving the Blue Raiders the victory. That win also pushed the team to a 2-0 mark in conference play. The day wasn’t done however, as the men were back in action at 4 p.m. against in-state foe TSU. The men proved that their dominance was far from over, as they won all seven points in the match for yet another home-court victory. After a successful doubleheader, the Blue Raiders are now 6-1 on the young season and are playing well before hitting the road next week. The men will be back on the courts next weekend when they travel to Washington D.C. to face George Washington University on Feb. 2 at 10 a.m. They will then travel to Queens, New York to take on Saint John’s on Feb. 3.